Capoeira tricks, originally uploaded by jahansell. 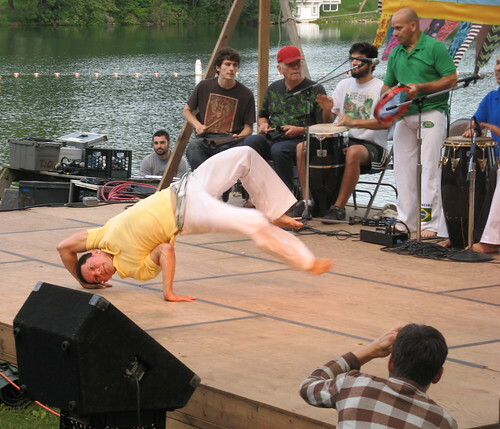 A Capoeira troupe was one of the highlights of the 20th annual Grove Festival. A Mexican dance band, a collegiate acapella troupe, and of course the wonderful Joint Chiefs, filled out the evening. We filled up on pasta pesto and cherries, wine and beer, and visits with good friends and friendly acquaintances. And the weather was just perfect, all night long. A few more photos (captioned) here.